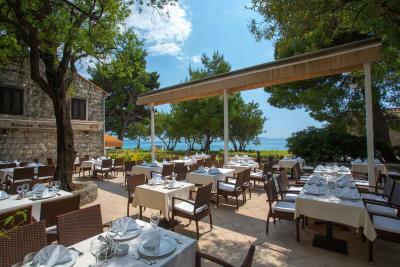 Lock in a great price for Hotel Mlini – rated 9.1 by recent guests! Great facilities. 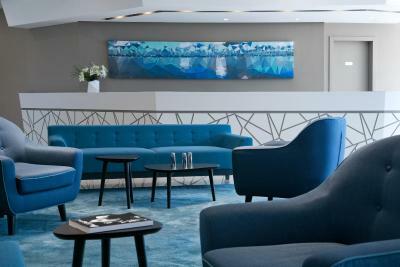 A brand new hotel. Highly Professional and courteous staff. Great location and facilities. Good value for your money. You get a 4 stars hotel with more reasonable rates when compare with 3 stars hotels located in Old Town. 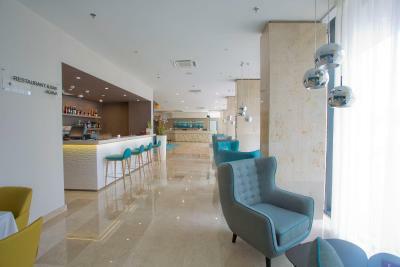 Mlini Hotel is only 15 minutes driving time from Old Town. UBER works efficiently at reasonable rates. Even adding your UBER costs you can expect significant savings versus staying in a hotel at the Old Town. We loved it here. 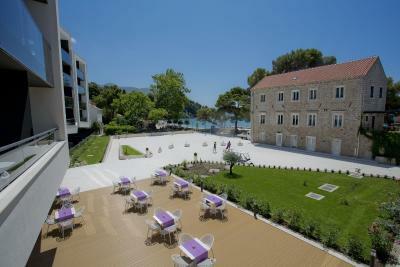 We had such an unpleasant time at our last hotel in Hvar, this hotel was just what we needed. From the moment we arrived and through out our stay the staff were friendly and helpful. The room and beds were extremely comfortable and clean with white fluffy towels, quality bed linen, massive walk in shower, toiletries, kettle, welcome plate, flat screen TV and balcony. The indoor and outdoor pools were great (2 min. walk), the indoor pool had a sun deck with sun loungers. The resort was quiet in the evenings, mainly people eating in the restaurants or at the one beach bar, however it was very easy to get a taxi boat to Dubrovnik (10% discount if booked through hotel). I booked a room with a bath but received a room with a shower only but the shower was so luxurious and enjoyable, I was happy reception had made the error. Excellent setting, quiet and no piped music in the hotel. Very friendly and helpful staff. It was a good spot, with its character (old mill and stone bridge, houses, chapel, church) preserved without being museum pieces. Also a beautiful plane tree. The sea was very close and the various eating places served good food. It helped also that these were able to be paid through the hotel (ie put on the room bill) and a 10% discount was then included. A good place to feel out of the crowds but within striking distance by sea 'bus' of Dubrovnik. I would definitely go again, but a little out of the main season and heat. Spacious and clean room. Very nice decor with lots of storage space. Love its colour tone, natural but eye catching. Staffs are friendly and helpful. 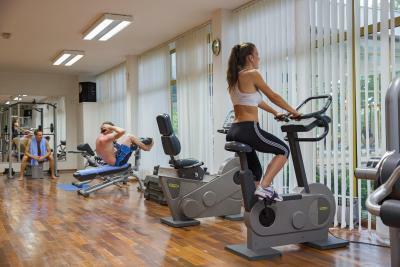 Execelent facilities, located in a small and relaxing area in the coast. Fantastic service. Wonderful and peaceful location with seaside view. The room and hotel was marvelous! A must-stay when visiting Dubrovnik. The staff were professional and friendly. The room was clean and comfortable. View from my room was spectacular. Loved the different animal towel shapes I found daily after my room was cleaned. Loved the surprise birthday cake and champagne!! That made my day. The food was lovely too. The bed was big and comfy. My stay was perfect. Plan to Go back there next year. Also loved the welcome tray with delicious treats! 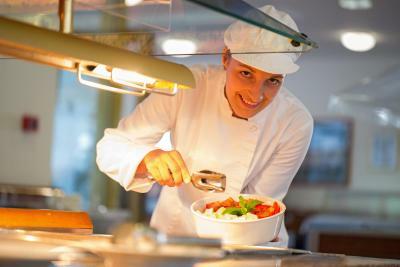 Top class place, beautiful location and the staff are very helpful. 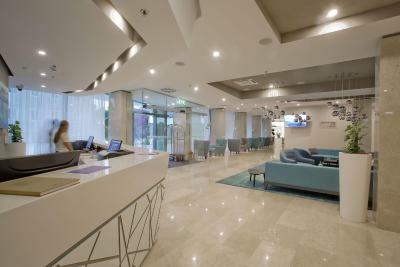 Hotel Mlini This rating is a reflection of how the property compares to the industry standard when it comes to price, facilities and services available. It's based on a self-evaluation by the property. Use this rating to help choose your stay! 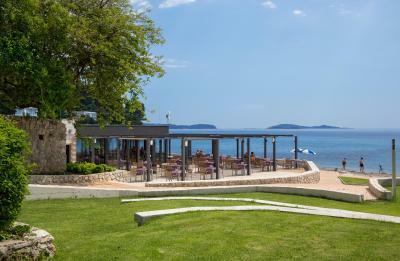 One of our top picks in Mlini.Enjoying a beachfront location, Hotel Mlini is part of the Astarea-Mlini Complex that includes both outdoor and indoor pools within walking distance. 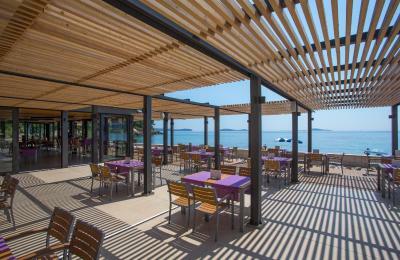 Located in Mlini, hotel provides elegant air-conditioned rooms with free WiFi and a panoramic view of the sea and the nearby islands. Free parking is provided at Hotel Astarea. Modern rooms here come with a flat-screen satellite TV, a desk, a safe and a mini-bar. Most offer a balcony with a view of the sea. The private bathrooms are fitted with a bath and a hairdryer. Free cosmetics and slippers are at the guests' disposal. 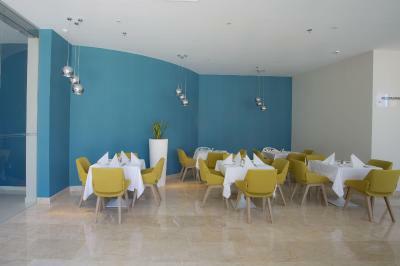 Mlini Hotel consists of the à la carte restaurant Agava, which offers local and international cuisine. Traditionally prepared fish dishes made with fresh seasonal ingredients and aromatic herbs are complimented by Croatian wines and deserts. 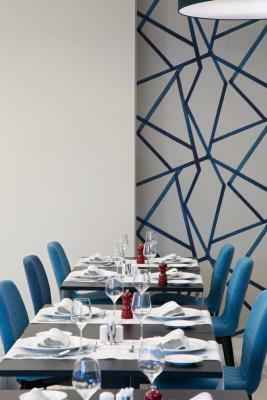 Pizzeria Mlini serves a wide variety of pizza and pasta meals and is located on the property's terrace. Pebbly beaches and a sandy beach are only a few steps away, and one features the Oleander Beach Bar & Restaurant serving colorful cocktails and Mediterranean cuisine. Local band performances take place on the beach bar's terrace, with plenty of opportunities for dancing every night. A children's playground is also available at the Hotel Astarea, as is a fitness and wellness center offering saunas and beauty treatments. A diving center can be found within 350 feet. The hotel is located right next to a small and picturesque town square and connected to it via a bridge crossing a stream. Centuries-old plane and oleander trees can be found nearby. The UNESCO-protected Dubrovnik Old Town is located at a distance of 5.3 mi from the property and tours of the city, as well as tours of Mlini and other field trips can be organized. Dubrovnik Airport is 6.2 mi away. 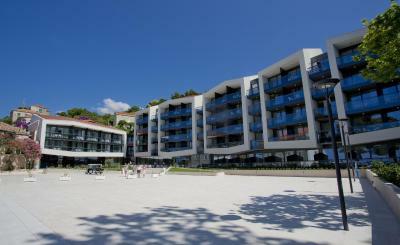 This property also has one of the top-rated locations in Mlini! Guests are happier about it compared to other properties in the area. 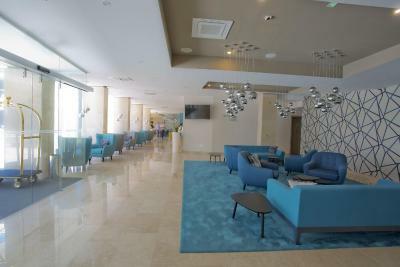 When would you like to stay at Hotel Mlini? This air-conditioned room provides a balcony and a flat-screen satellite TV. It also comes with a desk, a safe and a mini-bar. The private bathroom is fitted with a bath and a hairdryer. Free toiletries and slippers are at the guests’ disposal. 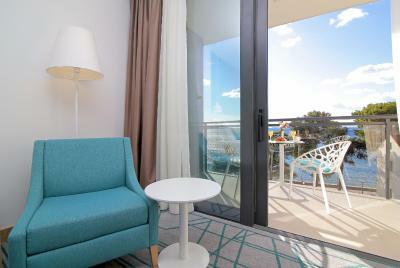 This air-conditioned room provides a balcony with a view of the sea and a flat-screen satellite TV. It also comes with a desk, a safe and a mini-bar. The private bathroom is fitted with a bath and a hairdryer. Free toiletries and slippers are at the guests’ disposal. This air-conditioned suite provides a seating area with a sofa and a flat-screen satellite TV. It also comes with a desk, a safe and a mini-bar. The private bathroom is fitted with a bath and a hairdryer. Free toiletries and slippers are at the guests’ disposal. 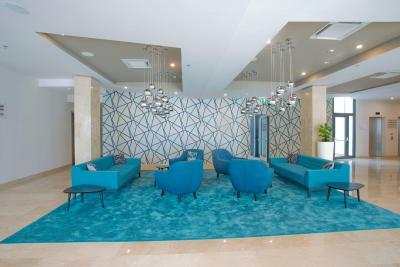 House Rules Hotel Mlini takes special requests – add in the next step! One child from 2 to 12 years is charged 50 % of the room stay per night and person in an extra bed. Hotel Mlini accepts these cards and reserves the right to temporarily hold an amount prior to arrival. Please note that guests can park their vehicles in front of Hotel Astarea which is at a distance of 650 feet from Hotel Mlini. Shuttle service between the hotels can be provided upon request and at a surcharge. The cleanliness of the rooms, the views from the room. The friendly and helpful staff. The funny folded towels left in the room! The choice and quality of breakfast. The location of the hotel. 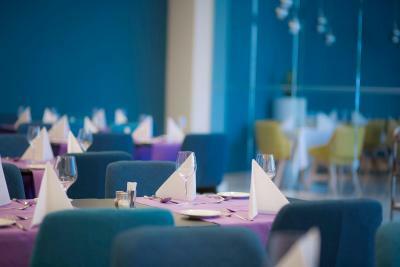 In spite being a big hotel, it doesn't give the feeling of mass tourism hotel because it offers several possibilities for lunch and dinner in 3 different places. 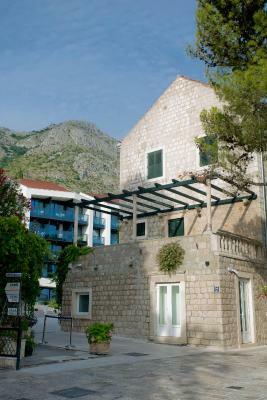 The rooms are comfortable and have a nice little terrace from where one can enjoy the view of the Adriatic Sea. The peer from where taking the boat to Dubrovnik or other places is very close to the hotel. The spa is in a near sister hotel, which isn't top confortable. The beach is well organized. The fire alarm light in the bed room clicking all night long Other small lights a bit everywhere in the bed room The clim system isn't user friendly The shower toked a bit time to warm up We had a big room with a living room in it which wasn't interesting as the TV is not in front of the biggest sofa and, sofas were very uncomfortable (too hard), no drinks or food in the mini fridge Pools (and gym) belongs to another hotel with another standard so of course if you were thinking about an 4stars experience, you won't find that with these installations. For us there was nothing we didnt like as we wanted a quieter resort, for relaxing and re-charging. If you wanted a busier resort you'd be better of at Catvat. But we had nothing to dislike. Location was excellent. Hotel was beautiful and exceptionally clean. Staff were friendly and attentive. Food was delicious. Sea view was beautiful from balcony. Bed was very comfortable. Gorgeous bathroom. Loads of storage in room. Ferry is just at front of hotel to take you to Dubrovnik or cavtatt. The location is heavenly - a sleepy holiday village right on the water just 20 minutes south of Dubrovnik by car or 30 minutes by water taxi. Breakfast was great. My friend and I had a lovely stay and it was wonderful being so close to the water.